BCR C. R. Bard Inc.
LLL L 3 Communication Holdings Inc.
NPK National Presto Industries Inc.
WWW Wolverine World Wide Inc.
ModernGraham.com started with a simple discussion about Benjamin Graham’s The Intelligent Investor and its continued relevance today. 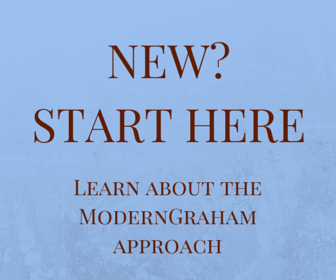 After the discussion, Benjamin Clark studied the methods put forward by Graham and modified them slightly to meet the needs and conditions of the current market. 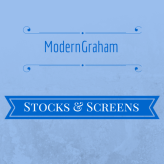 When it was determined that strictly following a modernized set of rules based on Graham’s original investing strategies would lead to low risk and high return portfolios, Benjamin Clark and Jonathan Ritchie decided to start a blog to discuss these findings with other intelligent investors. The site was developed and officially launched in August of 2006.
research) and Enterprising Investors (an investor willing to take on more risk by doing substantial research) are taken from Graham’s book The Intelligent Investor. The valuation model has also been taken from the same book, and you may visit ModernGraham.com for an explanation of how the model was modernized.